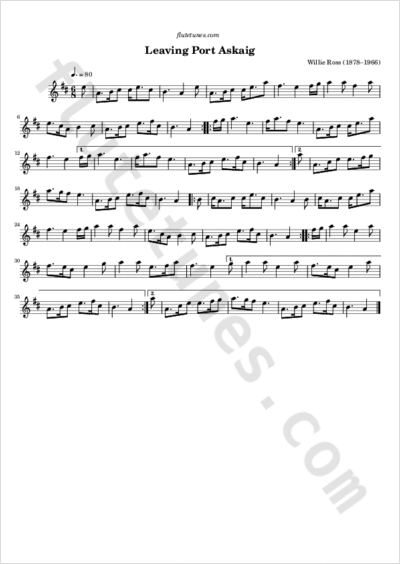 This lilting 6/8-time march was composed in 1926 by Pipe Major Willie Ross, and is considered one of his best. Like many pipe tunes, it is to be played in the key of A Mixolydian, which is like A major but with G-naturals instead of G-sharps. Port Askaig is a port village on the east coast of Islay, the southernmost island of the Inner Hebrides of Scotland.